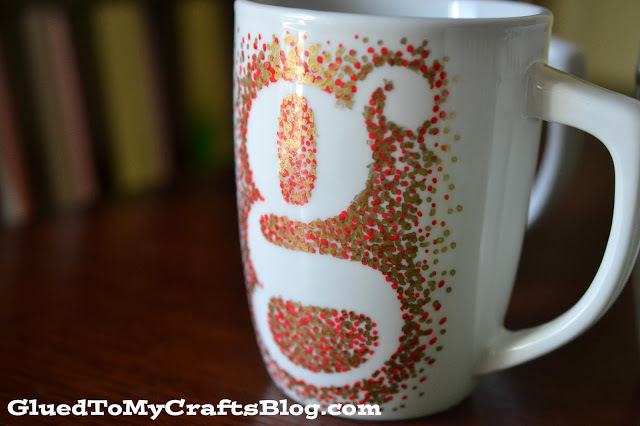 Want to impress all of your friends and family with your crafting skills? Whether you have those skills or not, doesn&apos;t matter, you will be able to bright up your home or your family and friend&apos;s faces with these five holiday "DIY" projects! 1. 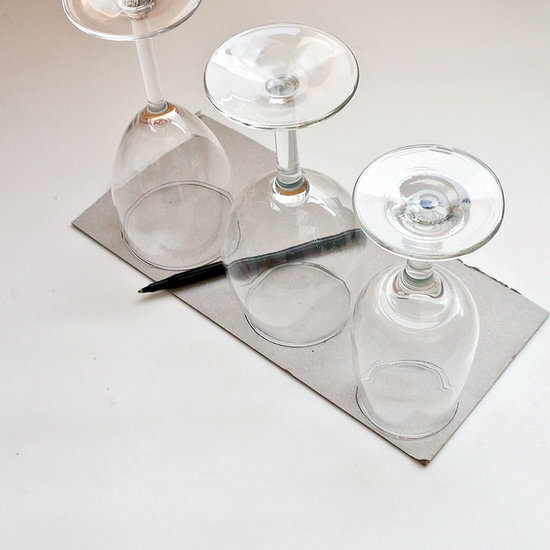 Create the base for the dioramas by placing the glasses upside down on cardboard and tracing around the outside edge. To make one for your young friend, cut a clear plastic bottle in half, and use the bottom end just like the wine glass. Cut out the rounds. 2. 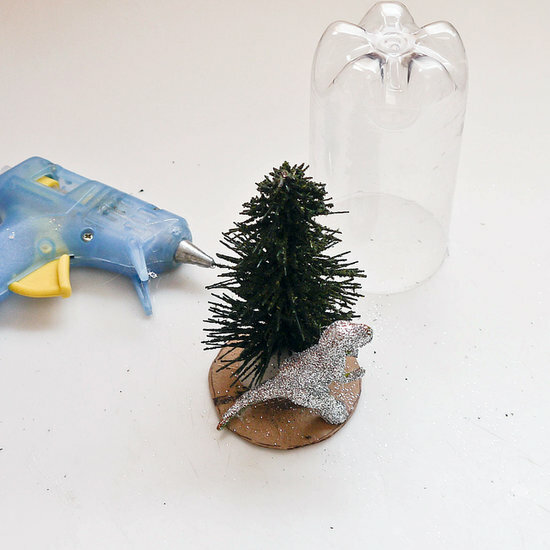 Fire up your hot glue gun, and start arranging any small figurines or decorations. You can even pop in a few glittering plastic animals for a sparkling diorama. 3. 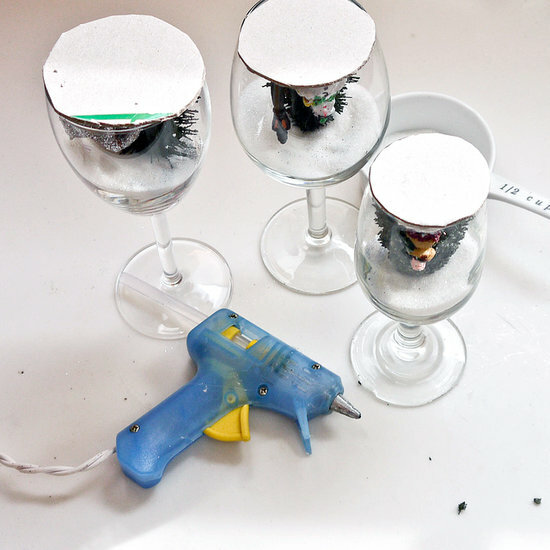 Once the glue has dried, place the wine glass or bottom of the plastic bottle over the base to make sure everything fits. Now remove the base, flip over the wine glass or plastic bottle, and pour around one-fourth cup of white sugar into the glass. Add a sprinkle of glitter for a sparkling touch. Replace the base of the diorama, nestling the glued figurines into the sugar until the base is level with the edge of the glass. Secure with hot glue. 5. Finish with a length of ribbon or twine at the base of the glass for a cute look. Flip, and enjoy the cute snow-filled diorama. 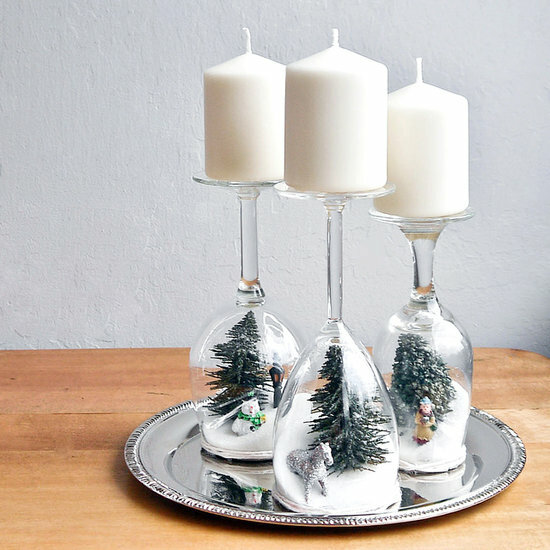 If using wine glasses, top with candles, and you&apos;re ready to decorate! 1. 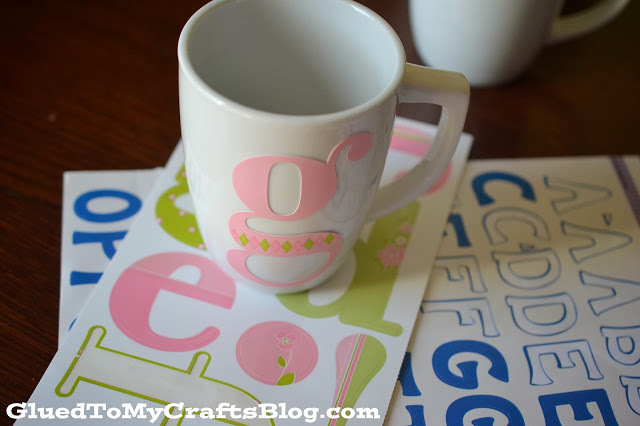 To do a monogram design you will need a scrapbook stickers. 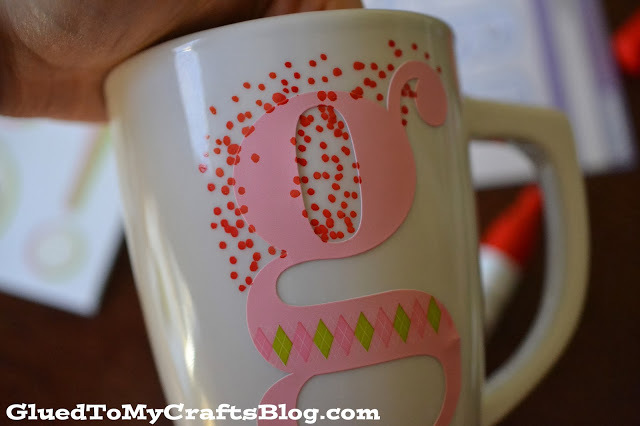 Pick the monogram/design you want and stick it on your mug. I did a “G” for our last name. 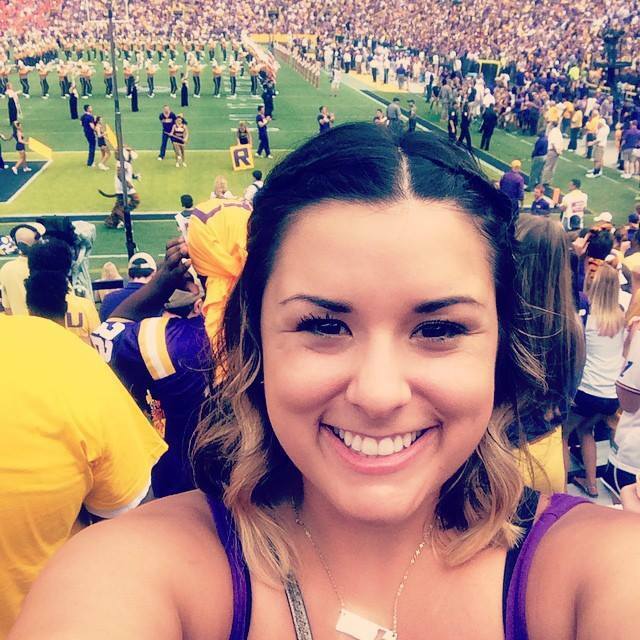 You will want to make sure it’s in the right place/angle etc. 2. 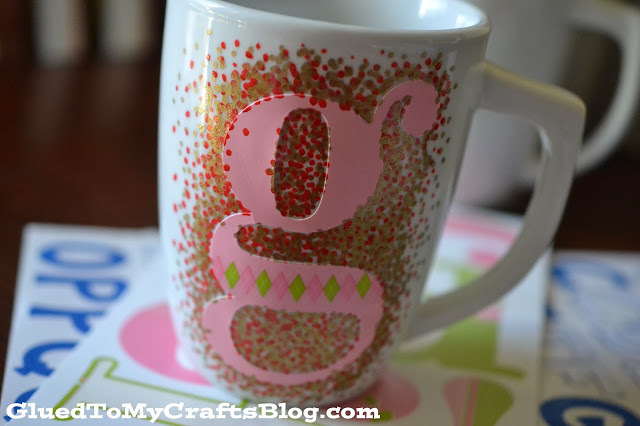 Next you will want to make dots ALL around the scrapbook sticker. Follow the directions on the markers to get the paint going. Do some practice dots on some cardboard before hand. Once ready, start filling in the area around the sticker with dots. Really fill in the area. Add a second color if you like. If you mess up, wipe away with some rubbing alcohol on a q-tip. 3. Once you have the design you want and it’s dry – carefully peel off the scrapbook sticker to reveal your design. Do touch-ups if you need to. 4. Making sure your area is well ventilated – turn on your oven to 350, set your mugs inside and let them bake for 30 minutes. Once 30 minutes is up, turn off the oven and let the mugs cool down inside. I left it in the oven for a few hours. 5. Then of course, fill and enjoy with your favorite beverage or wrap as a gift for a friend! Clear plastic ornaments are flat on two sides and can be found in the craft section of Wal-Mart. 1. Start with a clean ornament and take the top off. 3.. 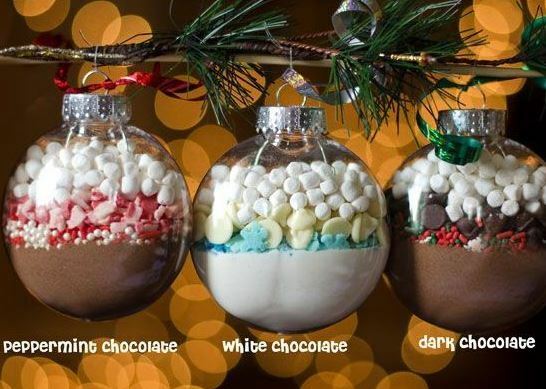 Fill each ingredient into the ornament using a funnel. Start with the hot cocoa mix, then sprinkles, then crumbled candy canes and lastly the mallow bits on top. 3. Put top back on and tie a ribbon on it. You will need to deliver these standing upright or wrap the top with plastic wrap to keep contents inside. It’s ready to go! 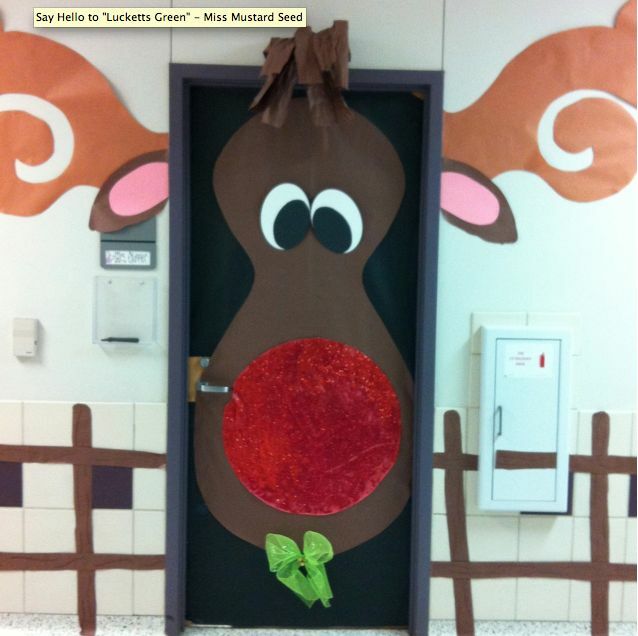 A very simple, inexpensive and fun way to make your home look festive for the holidays! 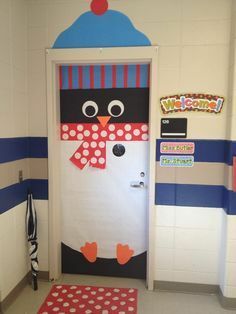 All you need is some construction paper and maybe a scarf or two! Here are some ideas you may want to try! 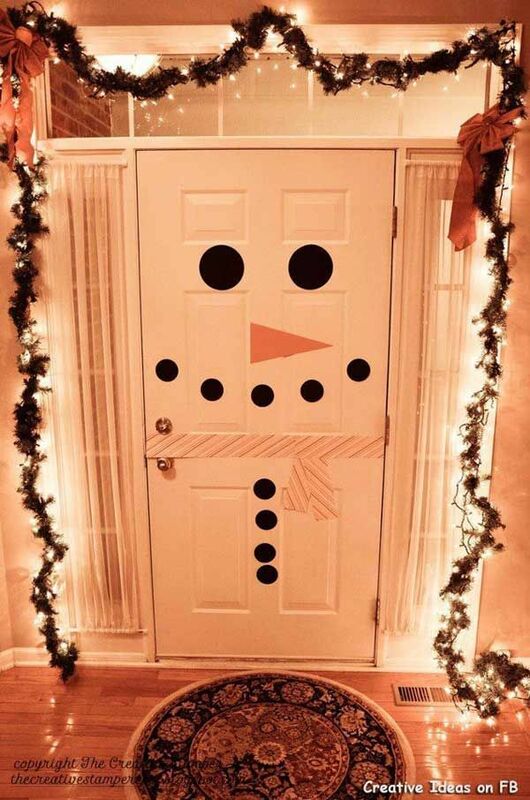 If you have any other simple and fun DIY holiday projects, let us know in the comments below!